 Mouse anti Human Interleukin-4 Receptor antibody, clone 25463 recognizes human Interleukin-4 receptor subunit alpha, also known as CD124. CD124 is a 825 amino acid ~90kDa type I single pass transmembrane glycoprotein bearing a single fibronectin type III domain. Interleukin-4 Receptor form a heterodimeric complex with the cytokine receptor common subunit gamma, referred to as the IL-4 type-1 complex. The alpha subunit can also form the type-II complex through association with the IL-13 receptor alpha 1 subunit. The IL-4R complex acts as a receptor for both interleukin-4 and interleukin-13. IL-4 R is expressed by B cells, T cells, monocytes and macrophages. Mouse anti Human Interleukin-4 Receptor antibody, clone 25463 is reported to block human cell surface IL-4 receptor mediated bioactivities induced by IL-4 or IL-13. An ND50 was observed at approximately 5-20 ng/ml in the presence of 0.2 ng/ml of IL-4 using the factor dependant human erythroleukemic cell line, TF-1. Spodoptera frugiperda lepidopteran ovarian cell line Sf21-derived, recombinant human interleukin 4 receptor, extracellular domain. 10100-0462 detects human IL-4 R under non-reducing conditions.